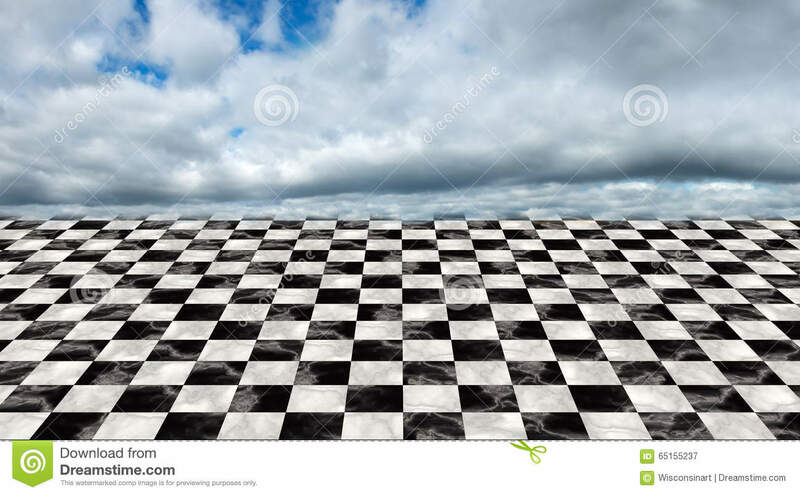 Infinite Checkerboard Floor, Clouds, Sky. Surreal infinite checkerboard floor background pattern. In the distance is a clouds and a cloudy sky.